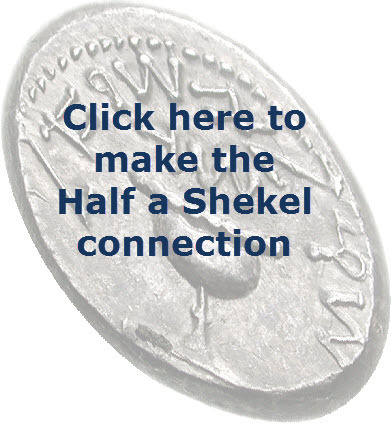 Before the holiday of Purim we make a special spiritual connection that is called מחצית השקל ‘Half a Shekel’. Link to register for Half a Shekel is below the explanation. When we give half a shekel, we connect our lower level to the upper level and receive the energy of life. The second half of the Shekel has the greater ‘weight’ because it is what makes our souls whole. That is the “contribution of YHVH“, which is the connection to the upper three Sefirot. The coins should be made from silver because of the name and the energy of the letters כסף (Chassadim, Sharing) that connected to this action. In most places you can ‘borrow’ the silver coins for the connections by paying for the value of Half a Shekel. Check first with your synagogue or you may purchase silver coins in jewelry stores for this purpose. If you ‘borrow’ then give the money to the one who gave you the coin and say “This is ‘Zecher l’Machatzit HaShekel'” ‘זכר למחצית השקל’. The word ‘Zecher’ זכר is also important as it connect to the verse in the Torah. Place the coins on the table and lift them over the head (over the line of the eyes), pause for at least three seconds, to claim ownership. Put the coins down and lift them three times as described above. Make a ‘purchase’ of $10 per person you wish to make a connection. It is approximately equivalent to the value of 10 grams of pure silver. Any amount given above the value of Half a Shekel would be considered as Tzedakah, which is also an important action to make before Purim. The period of Giving Half a Shekel is between Rosh Chodesh Adar until Rosh Chodesh Nisan. best time to do this is before Purim. I will make the connection with silver coins on the day before Purim for each of the names sent to me. People can add additional amount for Tzedaka to enhance the giving of Half A Shekel because (proverbs 11:4) “וּצְדָקָה, תַּצִּיל מִמָּוֶת” “and Tzaedaka delivers from death”. $10 per person + tzedakah (any amount is accepted). This year I take opportunity to connect your Tzedakah with a greater aspect of Life. Usually your Tzedakah goes to support the DZ Zohar projects and this year I will share your Tzedakah with a project of the Brandwein family in Israel. They are dedicating a new Torah for the souls of Rabbi Avraham Brandwein ZT”L, Rabbi Yehuda Tzvi Brandwein ZT”L and Rabbi Yehuda Halevi Ashlag ZT”L, of blessed memory. 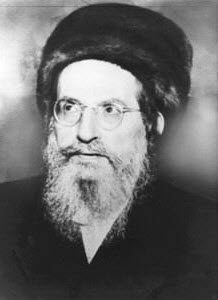 The scribe that writes the Torah with kabbalistic meditations is Rabbi Yehuda Tzvi Brandwein Shlita, son of Rabbi Avraham brandwein. He was named after his grandfather and is married to the great granddaughter of Rabbi Ashlag. When completed, the Torah will be in use by the Yeshiva, “Kol Yehuda”, in the old city of Jerusalem, named after Rabbi Ashlag. I will share pictures and videos when available. Those who wish to give directly to the Brandwein family should contact me by email for details. After entering the amount on PayPal screen, you will see a link to list name(s). Click on the [+] sign with ‘Please list names for meditation’ and list your name and or names of the people with their father’s name. Please separate each name with a comma ‘,’.